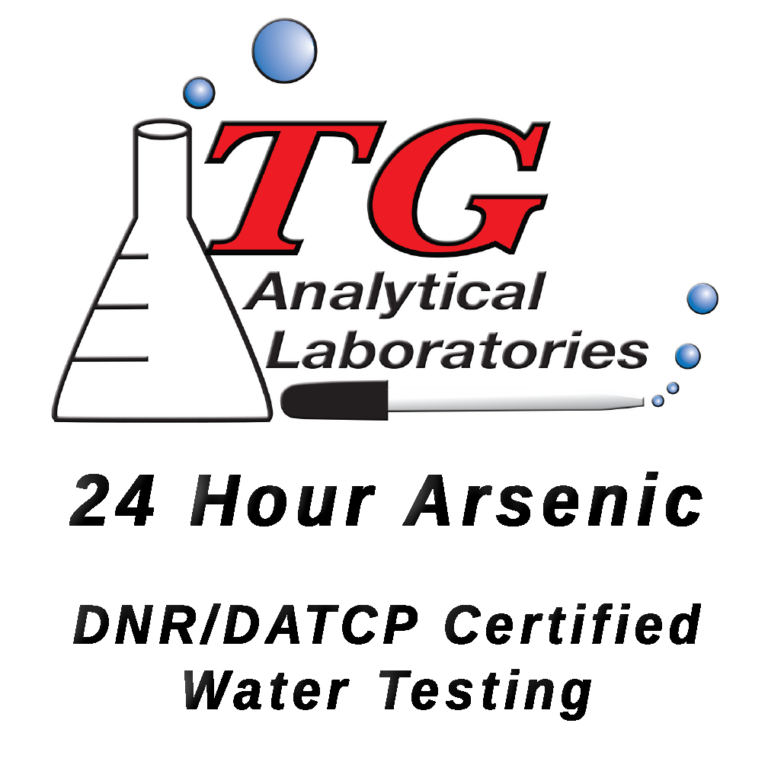 TG Analytical Labs (a part of Diamond H2O) is a Wisconsin certified water testing laboratory. We are certified by the DATCP and DNR to test for coliform bacteria, nitrate, nitrite, fluoride, arsenic, lead, and copper and report pump work, new wells, and public water samples to the DNR on a weekly basis. We perform many other important tests. Bacteria, Nitrate, Nitrite, and Fluroide are tested daily. Arsenic is tested everyday Tuesday-Friday. Lead and Copper are tested twice per week. Results are sent out the day after we receive the sample. Our results are ready fast. The majority of the test results are ready in three business days. Arsenic is tested on Tuesdays, Wednesdays, Thursdays, and Fridays and are sent out the same day. Bacteria and nitrate results are ready in one business day. Lead and copper are ready in three to five businesses days. Our lab is open Saturday 9-12pm. We accept samples every day but Sunday! These hours give you the ability to collect samples whenever it is convenient for you. You can collect samples on Friday, mail them in (using USPS only), and you’ll have the important results you need by Monday or Tuesday. Save $300 when you switch to us! Call 920-757-1355 or sign up for your five free coliform bateria, nitrate, and arsenic tests! 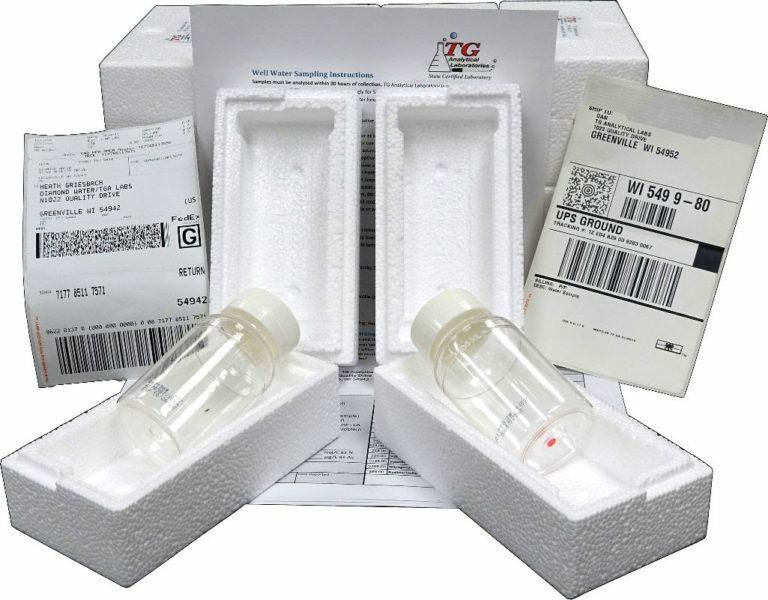 ($300 value) We will ship you sterilized and contaminant free sealed bottles, shipping containers, sampling instructions, and pre-paid labels for at least five coliform bacteria, nitrate, and arsenic tests. We want to prove that we can turnaround your samples and can support you and your business. Free Shipping or Pickup for your first year! Once you switch to us, we can offer you free shipping or pickup for your first year! We can offer free shipping labels for Fed Ex, UPS, or Speedee Delivery. We can also offer sample pickup with our own independent drivers if you are in our service area. Call 920-757-1355 or sign up today while this offer lasts.